After you've had time to play with the new update, please submit your feedback HERE. 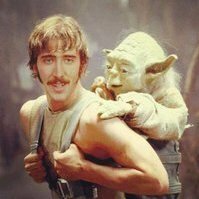 If you encounter any bugs, please report them HERE. Profile Emblems demonstrate your skill and ensure you stand out from the sea of other captains. 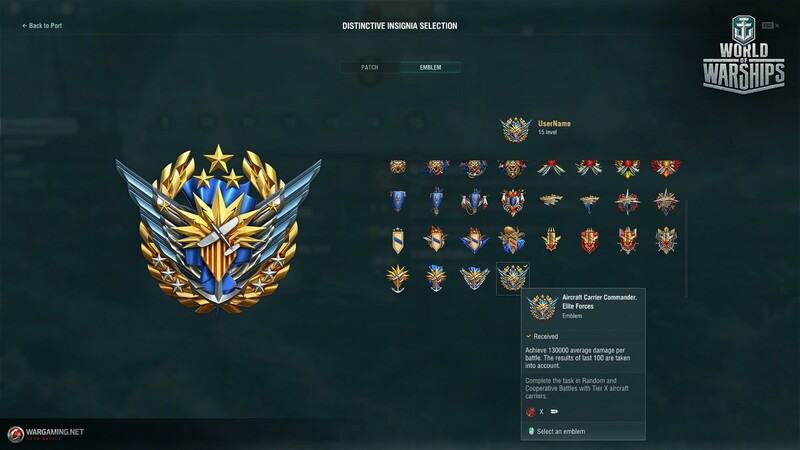 Earn yours by reaching a specific level of average damage during your last 100 battles with ships of a certain class in Random Battles; or through significant contributions to a specific number of victories gained while playing with ships from different nations in Random Battles. Earn Patches after completing personal combat missions -- they consist of two elements, a symbol and a background. The current update brings four standard symbols and five backgrounds, with one symbol and one background selected by default. 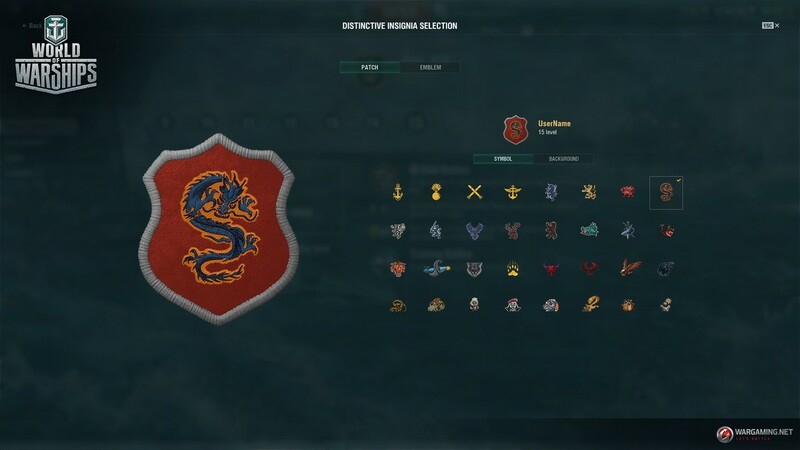 When in Port, you can view all available Distinctive Insignias, create a Patch of available elements, or select an earned Emblem. When you select a Distinctive Insignia, it's updated in your Profile. Only one Patch or Emblem in the Distinctive Insignia category can be selected at a time. You'll see the players' Distinctive Insignias displayed in a pop-up hint on the battle loading screen, in the player list, battle results screen, chat and on the website. When you destroy an enemy warship, the enemy will see your distinctive insignia, and if an enemy sinks you, you'll see theirs. Once your warship is destroyed, you can switch the camera to ships of other players and view their insignias. Access the Distinctive Insignias section through the corresponding option in the Profile tab of your Service Record section, or in the drop-down window displayed when clicking your nickname, and keep an eye on the website for more info about how to earn them. With the release of the Update, you'll be able to view your ships in the Port from new perspectives. You can examine in detail the main and secondary guns, AA batteries, torpedo tubes, and deck aircraft without needing to click on them. Take beautiful panoramic shots of your ships fully zoomed out; or check out the elegant outlines using the top-down view. Ships now fit in completely in-frame when viewed from the maximum camera distance. 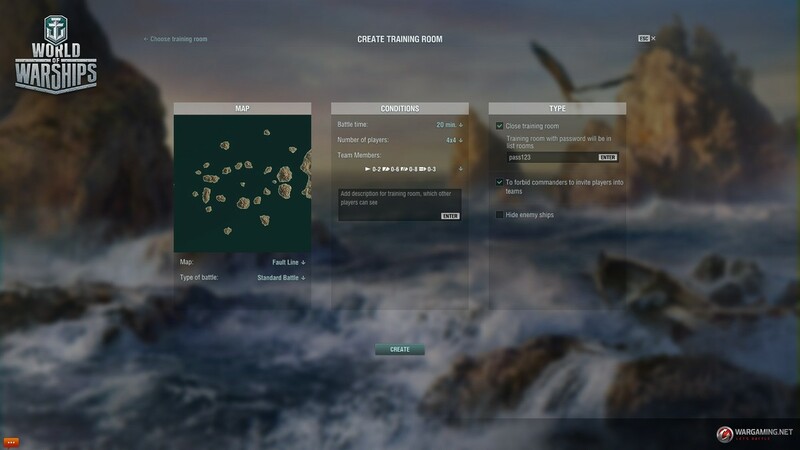 When you reach Service Record Level 15, you can create a Training Room Battle to test ship loadouts and tactics for Random or Clan Battles or re-enact historic battles to your heart's content. You define the number of participants, ship types and nationalities, maps and even weather conditions. Don’t worry about economy or service costs – you don’t expend ammo or consumables, or pay for the post-battle service of your ship in these training battles. The room creator can invite players to join the room and distribute them between two teams: Alpha and Bravo, while assigning commanders for both teams. These commanders can then invite players into their own teams. There is also an option to hide the ships of both teams, activated with the "Hide enemy ships" menu option. Also, test the main guns of your newly purchased ship and find out just where to hit the citadels of enemy ships by adding inactive training target ships to the battle. Check out new camo patterns on IJN Musashi, IJN Yamato and HSF Harekaze and a new collection. 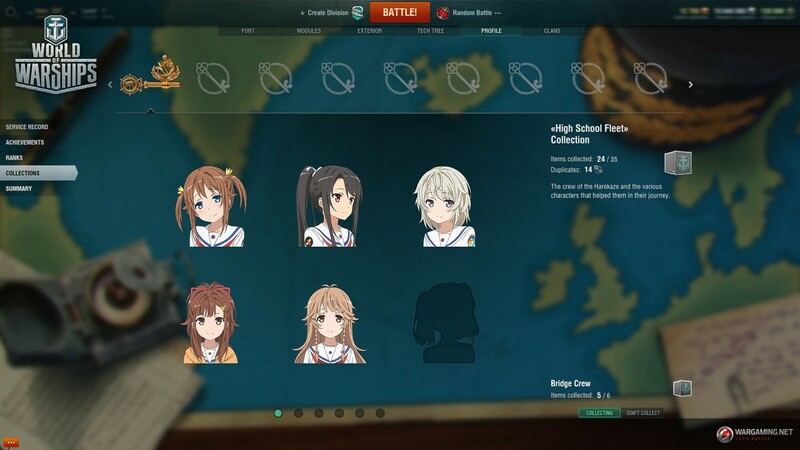 Assign four new Commanders to your ships and complete a 35-item collection with brief descriptions of the characters featuring in the "High School Fleet" anime series. We'll announce High School Fleet Bundles and Missions on the website Jan. 18! Not happy with the new camo? Hide them in the Port "Carousel" menu above the ship carousel on the right. We made further enhancements to the Cooperative Battle Matchmaker, featuring bot-operated carriers and battleships in battles even if players helm none. The type of AI-commanded ship depends on which type of ship is the most numerous in a particular battle. We want to make Cooperative Battles more interesting so you can test your skills in encounters against more versatile enemy teams. Developers, Supertesters and other special contributors can test US tier VI destroyer Monaghan, British tier VII destroyer Cossack, and Japanese tier VIII destroyer Asashio. Alabama, Tirpitz, Perth, Kii, Duca d'Aosta, Lo Yang, Leningrad, Atago, De Grasse, Hood, Yubari, Sims, Molotov, Graf Spee, Błyskawica. You can also find these ships in the Premium Shop. The ships remaining on regular sale are the most popular and "comfortable" to play, while other ships are to be periodically available for purchase. 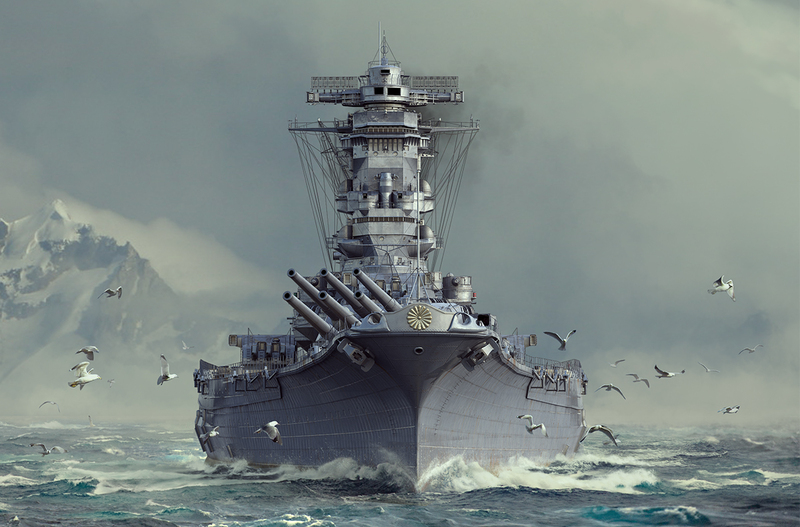 Get Japanese tier IX battleship Musashi, sister ship of the mighty Yamato, for 750,000direct from your tech tree! 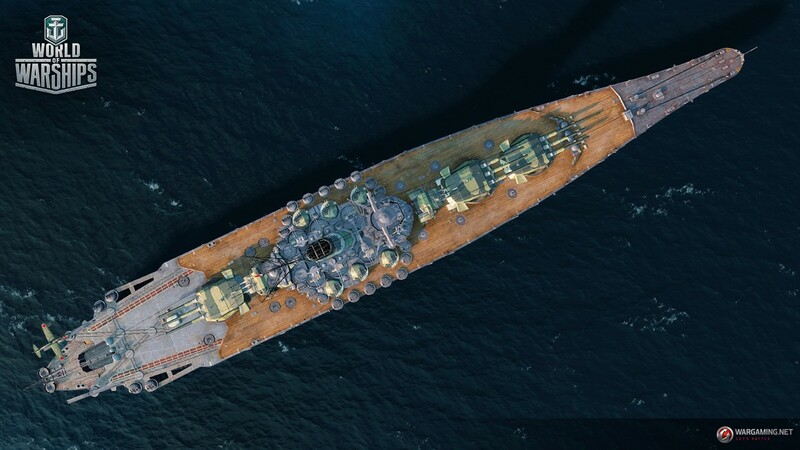 Now's your chance to pick up the US tier IX USS Missouri for in-game Free XP -- she's departing on release of Update 0.7.2 as we roll out Musashi, the new tier IX battleship that can be acquired with Free XP. We decided two ships occupying the same niche at the time is one too many. Get grinding, you can still get Missouri for another month.